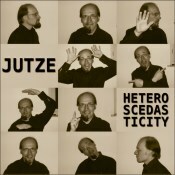 I’ve been listening to Jutze’s album “HETEROSCEDASTICITY” on and off over the last week and thought it was worth a plug here. Jutze provided a couple of sets of backing vocals for ‘Big Red Nose’ and is the only other person to complete a shadow Frankensong for the final round of the latest ‘Masters of Song Fu’. There is a nicely eclectic selection of songs on his album, which is named after a statistical term (and why not), ranging from acoustic ditties to heavy rock. He manages to out-R.E.M. R.E.M. on the song “I Wish Natalie Portman Was My Neighbour”, covers similar territory to Katie Melua’s “If You Were A Sailboat” with more wit on “If I Could Paint My Feelings” (“If I could weave my heart, I’d just make towels”) and even get a little serious with “Spirit She”. All of the songs are performed in English, apart from two statistical songs in German, which is a language built for rock. 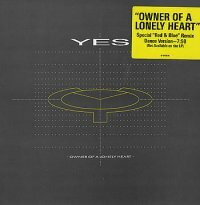 The wonderfully chirpy “In Love With Michael Owen” reminds me of Judge Smith, which is high praise from me, and in fact the whole album does share a similar sort of low-budget charm with Judge’s earlier efforts “Democrazy” and “Dome of Discovery”. So give Jutze a little listen – his whole album is available as a free download and would be a bargain at ten times the price! Masters of Song Fu Special – "Big Red Nose" Owner of a Lonely Horse Welcome Quickstoppers!